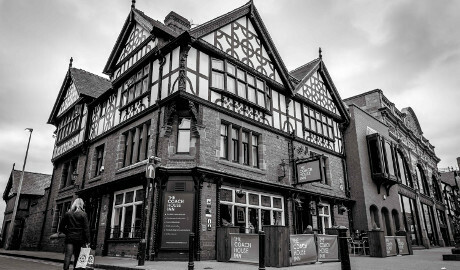 The Trustland Group took over the old Coach and Horses in 1997. With a background in construction, they used their refurbishment experience to transform the grade 2 listed building and give the hotel and restaurant a new lease of life. 10 years later, the business has gone from strength to strength and they’re now setting their sights on a new challenge of a completely different nature; raising £45,000 for local children’s hospice Claire House. In attempt to raise the astronomical amount, staff completed various fundraising events such as the Chester half marathon, skydiving, zip lining and Tough Mudder. The Coach House have also implemented an optional round up scheme on bills and have released a special guilt free dessert which sees a portion of proceeds going straight to the charity. 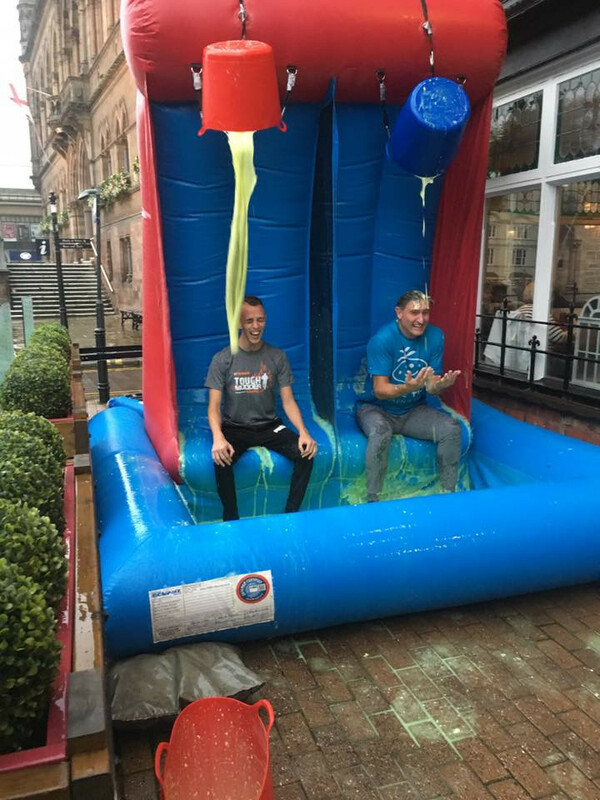 On Wednesday 27th September the group took their fundraising efforts to a new, messier, level by publicly covering their managers in gunge outside The Coach House Inn on Northgate Street. 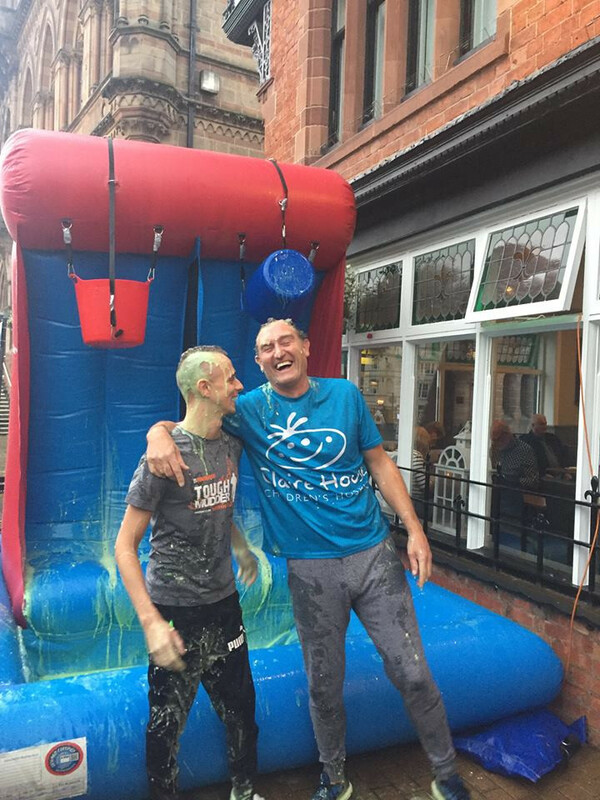 Employees, customers, friends and family we’re encouraged to donate to Claire House in order to vote on who they wanted to see gunged and those with the most money against their name we’re condemned. In total they have raised a massive £1,325 for the event which saw a total of 7 managers covered in slime. 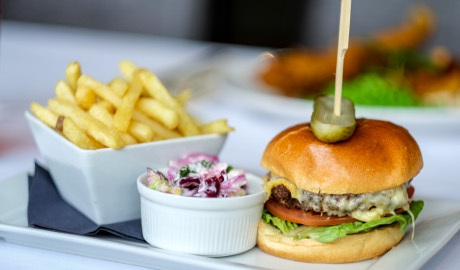 The Coach House Inn is an independently run, family owned restaurant and hotel right in Chester city centre. 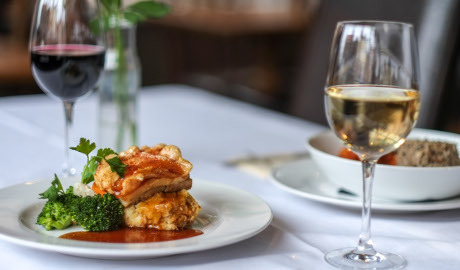 Our award-winning restaurant is a little haven for foodies, with our Head Chef Matt Scard-Jones and his team preparing all food on the premises with a mixture of no nonsense favourites and classic dishes with a little Coach House twist. Upstairs we have 8 recently refurbished and individually designed luxury rooms with views of Chester Cathedral and the Clwyd hills of North Wales. Tea and Coffee is served free to all overnight guests and our friendly and welcoming staff are on hand to provide recommendations for local sights. Our food serving hours are Monday-Thursday 1000-1130/1200-2100, Friday-Saturday 1000-1130/1200-2200 and Sunday 1200-1900.